After three years, approximately two-million hours of labour and over 200 million dollars, the newly refurbished Brisbane City Hall is once again open for business. Known as the 'people's place', this heritage listed building continues to remain one of the most iconic buildings in Brisbane. While many of city hall's former heritage features have been retained and restored, there are plenty of modern surprises too waiting for visitors to experience. When it became apparent that Brisbane's first town hall, located in Queen Street, was too small to house the council chambers in the late 1800's, a new site was sought. Construction began on the new city hall in 1920 in its current location on the site of reclaimed swamp land. It was the decision to choose this location, coupled with decades of age that ultimately led to the three year closure of city hall in 2010 as extensive renovations began to repair major structural defects, safety and functionality issues with the building. While it really doesn't look different from the outside, inside is another story. Throughout the building traditional lighter 1920s art deco colour schemes have been reinstated. In keeping with the heritage feel of the era of its construction, decorative heritage fittings have been restored. 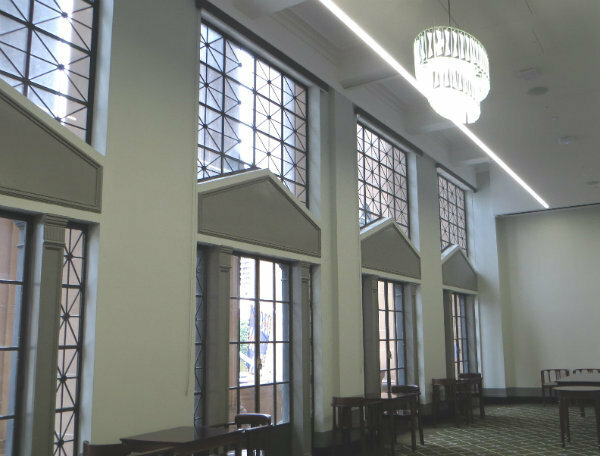 There were even original features of the building, including windows that had previously been covered by false walls, which are now revitalised. The end result provides a far more seamless transition throughout city hall and now highlights more of the original features of the building. Starting from the ground floor, the main auditorium has been revolutionised to meet the demands of the 21st century, yet remains stunningly true to the original building design. Major excavation work was undertaken here during the restoration closure to accommodate the construction of a modern professional kitchen below the auditorium. For visitors this will mean that city hall will now be a function destination to rival any of the major city venues. As an added bonus, this excavation unearthed some rather exciting elements of Brisbane's pioneering days. A streetscape was revealed approximately three meters under the auditorium dating back to the 1880s. The original cobblestone street and drain artefacts have now been used in the Enoggera courtyard and are accessible to visitors once again on the ground floor. The auditorium's Father Henry Willis organ has been carefully restored. 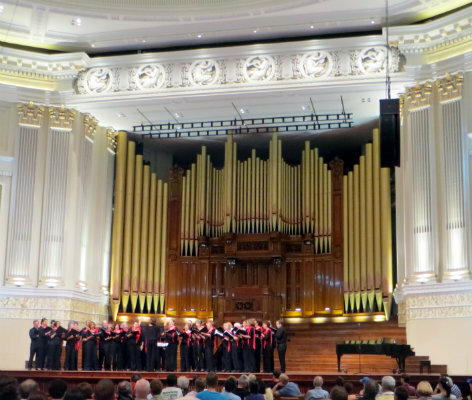 This delicate task required more than 4300 pipes ranging in size from 10 centimetres to 13 metres to be removed to be restored off-site, before being reassembled and retuned in the auditorium. Take the time to admire the Daphne Mayo Frieze featuring life-sized sculptures above the organ. It is said that she would arrive at dawn, scale the scaffold with her carving tools and work right through until dark. This can be best viewed from the auditorium's balcony on the first floor, accessible by the grand marble staircase or new lift. One of the buildings most eagerly anticipated modern upgrades was the installation of a LED lighting system in the main auditorium's domed ceiling. 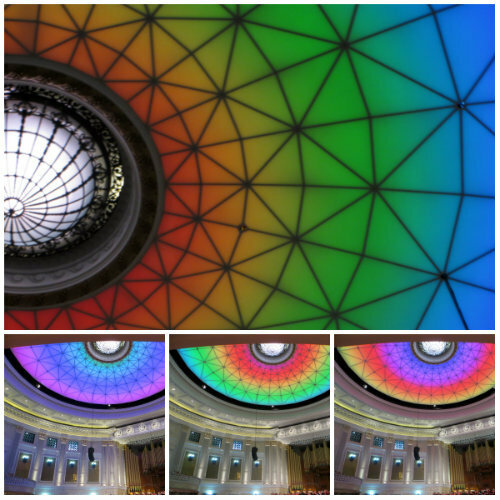 This visual delight can see the auditorium's roof transformed into a pulsing rainbow effect or even replicate a clouded sky. Just as they always have been the acoustics in this large space are magnificent, and with regular concerts and performances on here it is well worth planning a visit around one of these. 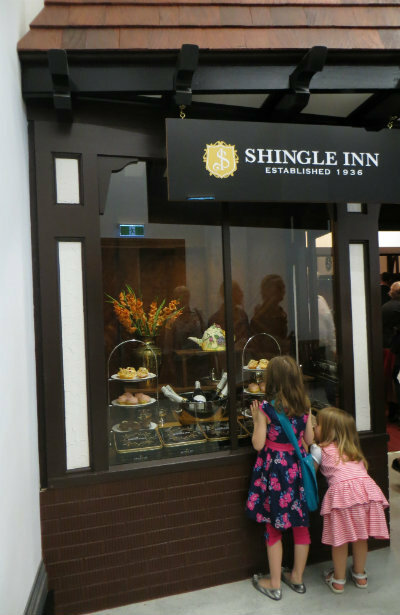 There is another major highlight of the restoration project on the ground floor which is new to city hall but steeped in social, cultural and even historical significance to Brisbane – the opening of the Shingle Inn Cafe. When the original Shingle Inn on Edward Street closed over 10 years ago many thought that all that would remain of this once bustling hive would be the stories of times spent here with generations past. This was the place to visit in the city for sweet treats, where the diners wore their Sunday best, hats and gloves were essential for the ladies, and where the fine china teacups were admired before sipping. I am so pleased to be able to relive and now introduce a whole new generation to the iconic shingled roof awning, dark wood panelled booths and shiny silver sugar bowls that the original Shingle Inn became so well known for. It is on the third level that you will find Brisbane's newest museum. Now relocated to its third new home in just over 10 years, the museum of Brisbane showcases the people, places and stories of Brisbane. The modern design features three galleries and a beautiful lounge where the soft natural light floating through the windows allows you relax in contemplation and provides a beautiful view of the copper dome and external building features. See here for current museum exhibitions. Clock tower tours and city hall tours can be arranged through the museum. Clock tower tours operate daily every fifteen minutes between 10am and 4.45pm, giving visitors a unique view of the city from a viewing platform 76m above King George Square. Up until the 1960's this was the tallest structure in Brisbane. City Hall tours run daily every hour between 10.30am and 3.30pm, where a guide will be able to show you around this grand building and give you access to some areas not usually open to the public. Both tours are free of charge, group bookings are essential and further information can be found here. 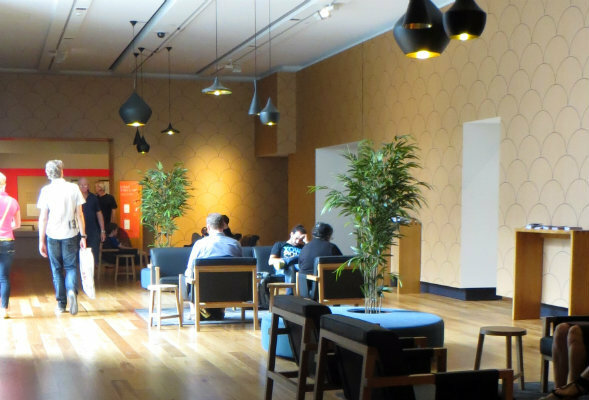 Another wonderful return to city hall is the Red Cross cafe, re-opening under the name of Commix Espresso, which can be accessed via Adelaide Street. This is one of Brisbane's hidden gems tucked away downstairs and signed simply as 'rest rooms'. Historically this facility is of great significance to the people of Brisbane. Gone is the dull décor, replaced by bold colours and signage reminiscent of Roy Lichtenstein's pop art. The menu was varied with plenty of snacks and lunch options available that were excellent value for money. 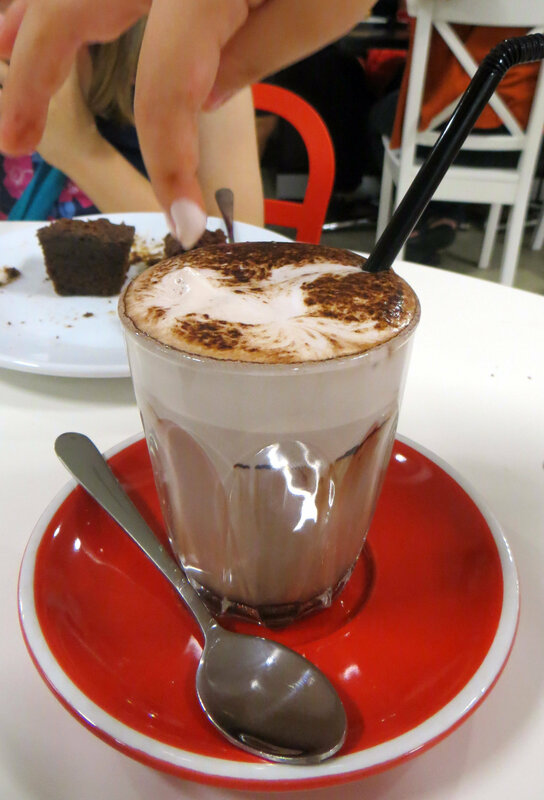 The kids were especially happy with their choice – the biggest baby chinos we'd ever seen. The Commix Espresso cafe is open Monday to Friday 7am – 3pm. There are a range of public spaces and function rooms for hire throughout the ground, first and second floors. Many have been redesigned to make use of the free-flowing space following years of remodelling to suit various purposes, such as the Sherwood room which was originally designed to be a garage. Look out for heritage features including heritage windows, stained glass city coat of arms, large pieces of handcrafted furniture from the 1920s and carpet which replicates the original floor rugs which were made when city hall first opened. Overall the renovations appear to have brought city hall into the 21st century and beyond; thankfully however, attention to the heritage features of the building have been deemed worthy of preserving. Accessibility around the building has greatly improved with the installation of lifts giving wheelchairs and strollers new found areas to explore. I am not an art deco expert, but the feel of a 1920s/1930s Brisbane atmosphere is definitely captured. While a lot of the structural repairs and green upgrades will most likely go unnoticed by most visitors (myself included), thankfully the decision was made to preserve instead of demolish this beautiful Brisbane icon. It's fantastic to see the heart of Brisbane city pumping once again, with city hall set to become the newest city tourist hub. 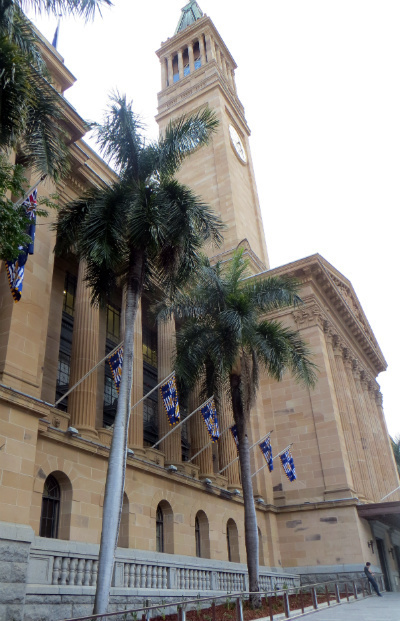 Whether you are a long-time Brisbane resident very familiar with city hall or a visitor new to Brisbane, a trip to the refurbished Brisbane city hall will leave you with a new story to share. What do you think of the revealed renovations? Share your stories, past and present, of this great Brisbane icon with weekend notes readers. Did the tour of City Hall & the clock tower today and would definitely recommend them both. Took a turn through the Museum of Brisbane as well which was well worth it. It's been beautifully restored and is a great part of our history in Brisbane.